Draft: 2008, San Diego Padres, CAth rd. First name is pronounced Jeff…Named after his uncle, whose name was misspelled as "Jaff" on his birth certificate…His uncle kept and lived with the misspelling until he died while serving in the Army…The name was passed on to honor his late uncle. Spent the majority of the season with Triple-A Nashville, while also appearing in 17 games with Oakland…Has seen major league action in each of the last five seasons. ..Began the season with the Sounds, before Oakland selected his contract on 4/15…Collected a career-high three hits that day vs. HOU...Remained with the major league club through 5/8, before the organization designated him for assignment the following day…Outrighted to Nashville on 5/13...Spent the remainder of the season at Triple-A…Made starts at all three outfield positions with the Sounds...Hit .301 (52-for-173) with a .364 on-base percentage prior to the Triple-A All-Star Game and just .247 (44-for-178) in the second half. Spent most of the season at Triple-A Durham where he batted .255 with 12 home runs and 35 RBI in 99 games…also hit .154 with one RBI in 19 games over two stints with Tampa Bay…was 8-for-43 (.186) against right-handed pitching but was hitless in nine at bats against left-handers…is now 0-for-17 in his career off south paws…hit .233 on the road, was 1-for-22 (.045) at Tropicana Field…his career splits are .234 (15-for-64) on the road, .064 (3-for-47) at home…went 1-for-16 (.063) with runners in scoring position, including 0-for-9 with RISP and two outs…is a .065 (2-for-31) career hitter with RISP and is 0-for-16 with RISP and two outs…was 0-for-8 in interleague play and is 0-for-15 in his career…started eight games in right field, three in left field and one in center field…did not commit an error in 16 games overall as an outfielder (31 total chances)…had three assists, one at each position…was 0-for-4 with three strikeouts as a pinch hitter…was selected by Tampa Bay June 15 and was 4-for-29 (.138) in 10 games during his first stint with the Rays…went 1-for-19 (.053) over his first seven games, including a career-long 0-for-15 streak from June 17 to 25…then hit safely in three straight games for the second time in his career June 25-26 (3-for-10, .300)…was designated for assignment June 29 and outrighted to Durham July 1…returned Sept. 16 when Logan Morrison went on the DL and went 4-for-12 (.174) in nine games…including a career-best 3-for-4 performance Sept. 26 at Chicago (AL)…also stole the only base of his career in that game. Began season with Triple-A Indianapolis and reached base safely in eight of his first 10 games thru 4/16...Hit first home run with the Indians on 5/5 at Scranton/WB...Went 9-for-15 (.600) over a fivegame stretch from 5/5-9...Was recalled by Pittsburgh on 5/11...Made first appearance with Pirates on 5/11; played final two innings in left field and flied out in his only at bat...Struck out as a pinch hitter on 5/13 at Milwaukee and grounded out as a pinch hitter on 5/14 at Milwaukee...Was optioned back to Indianapolis on 5/15...Hit a three-run homer on 5/17 at Gwinnett...Reached base safely in nine straight games from 5/22 thru 6/1, going 10-for-32 (.313) with six walks and a .421 OBP...Had season-high four hits and three doubles on 6/27 at Durham...Was recalled by Pittsburgh on 7/10 and went hitless in two at bats as a pinch hitter...Also played one inning in left field on 7/12 at Cincinnati...Was optioned back to Indy on 7/13...Batted .328 (21-for-64) in his final 20 Triple-A games, beginning on 8/3...Made 79 appearances in left field and 20 in center field while playing with Indianapolis. Spent majority of season with Tucson (Padres' AAA), where he made 66 appearances (59 starts) in center field, 39 appearances (37 starts) in right field and one start in left field (4/6)...Homered in first game on 4/4 at Salt Lake...Tallied lone triple on 5/31 vs. Fresno...Was recalled by San Diego on 6/12, but did not appear in a big league game before being optioned to Tucson on 6/14...Was recalled again on 6/19 when Everth Cabrera went on the disabled list...Made Major League debut on 6/20 vs. Los Angeles (NL) and walked as a pinch hitter; was also caught stealing...Also pinch-hit on 6/21 and reached base on an error before scoring a run...Was optioned to Tucson 6/21...Hit .322 (19-for-59) in 17 games during the month of June with Tucson and .340 (32-for-94) in 26 games the following month...Was recalled a third time by San Diego on 8/10...Collected first Major League hit - a solo home run - off Jhoulys Chacin on 8/12 at Colorado...Hit safely in back-to-back games on 8/12-13...Made a total of eight appearances (seven starts) in left field for the Padres during the month of August...Was optioned back to Tucson on 8/26 and went 3-for-19 with a homer in his final five Triple-A games. Spent the majority of the season with Double-A San Antonio, playing in just 47 games for the Missions, missing time due to a stint on the disabled list. Began the season with San Antonio and hit .184 (27-for-147)through 47 games before landing on the seven-day disabled liston 6/1 with a left foot injury.Played in nine games with Rookie-Level Peoria on a rehabilitationassignment from 7/11-23, before missing the remainder of theseason. Saw his first time at Double-A, spending the entire season at San Antonio...Entered the season ranked the No. 7 prospect in the Padres organization by Baseball America...Set career highs in nearly every offensive category, including games played, hits, doubles, home runs, RBI, runs scored, walks and stolen bases...Led the Texas League in walks while also ranking among league leaders in RBI (3rd), runs scored (4th), doubles (7th) and home runs (8th). Named the No. 4 prospect in the Padres organization and best hitter for average by Baseball America. Spent the entire season at Single-A Fort Wayne, hitting .299 (107-for-358) in 104 games...entered the season ranked as the Padres No. 3 prospect according to Baseball America...Named the Class-A Player of the Year and listed as a First-Team All-Minor League Baseball outfielder by Baseball America...was the youngest player named to that list at 19 years old...Named to the Midwest League Mid-Season All-Star team...Led the league in OBP and OPS (.956)...ranked second in walks and slugging percentage, tied for sixth in home runs and ninth in batting average...OBP ranked fourth in all of minor league baseball. Spent the majority of his season at Rookie-level Peoria (49 games) also appearing in three games at Short-A Eugene...Most Valuable Player of the AZL, leading the league in runs, walks and OBP...finished second in the league in batting average. January 2, 2019 Leones del Escogido placed OF Jaff Decker on the reserve list. December 20, 2018 OF Jaff Decker assigned to Leones del Escogido. July 19, 2018 Syracuse Chiefs released OF Jaff Decker. July 8, 2018 Syracuse Chiefs activated OF Jaff Decker from the 7-day disabled list. June 22, 2018 Syracuse Chiefs placed OF Jaff Decker on the 7-day disabled list. 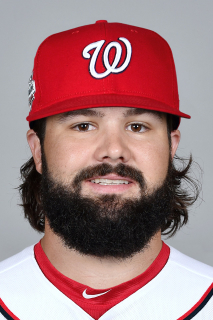 May 22, 2018 Washington Nationals signed free agent OF Jaff Decker to a minor league contract. May 22, 2018 OF Jaff Decker assigned to Syracuse Chiefs. May 1, 2018 Gwinnett Stripers released OF Jaff Decker. December 1, 2017 Atlanta Braves signed free agent OF Jaff Decker to a minor league contract and invited him to spring training. December 1, 2017 OF Jaff Decker assigned to Gwinnett Braves. October 2, 2017 CF Jaff Decker elected free agency. May 26, 2017 Nashville Sounds activated CF Jaff Decker from the 7-day disabled list. May 15, 2017 Nashville Sounds placed CF Jaff Decker on the 7-day disabled list. May 13, 2017 Oakland Athletics sent CF Jaff Decker outright to Nashville Sounds. May 9, 2017 Oakland Athletics designated CF Jaff Decker for assignment. April 30, 2017 CF Jaff Decker assigned to Nashville Sounds. April 21, 2017 CF Jaff Decker assigned to Nashville Sounds. April 15, 2017 Oakland Athletics selected the contract of CF Jaff Decker from Nashville Sounds. November 22, 2016 Oakland Athletics signed free agent RF Jaff Decker to a minor league contract and invited him to spring training. November 22, 2016 OF Jaff Decker assigned to Nashville Sounds. October 9, 2016 CF Jaff Decker elected free agency. October 7, 2016 Tampa Bay Rays sent CF Jaff Decker outright to Durham Bulls. September 16, 2016 Tampa Bay Rays selected the contract of CF Jaff Decker from Durham Bulls. July 1, 2016 Tampa Bay Rays sent CF Jaff Decker outright to Durham Bulls. June 29, 2016 Tampa Bay Rays designated LF Jaff Decker for assignment. June 15, 2016 Tampa Bay Rays selected the contract of LF Jaff Decker from Durham Bulls. February 4, 2016 LF Jaff Decker assigned to Durham Bulls. January 26, 2016 Tampa Bay Rays signed free agent LF Jaff Decker to a minor league contract and invited him to spring training. December 2, 2015 LF Jaff Decker elected free agency. October 8, 2015 Pittsburgh Pirates activated LF Jaff Decker. October 7, 2015 Pittsburgh Pirates reassigned LF Jaff Decker to the minor leagues. September 1, 2015 Pittsburgh Pirates recalled LF Jaff Decker from Indianapolis Indians. August 3, 2015 Pittsburgh Pirates optioned LF Jaff Decker to Indianapolis Indians. July 17, 2015 Pittsburgh Pirates recalled Jaff Decker from Indianapolis Indians. May 22, 2015 Indianapolis Indians activated LF Jaff Decker from the 7-day disabled list. April 29, 2015 Indianapolis Indians placed LF Jaff Decker on the 7-day disabled list retroactive to April 27, 2015. April 18, 2015 Pittsburgh Pirates optioned LF Jaff Decker to Indianapolis Indians. April 9, 2015 Pittsburgh Pirates sent OF Jaff Decker on a rehab assignment to Indianapolis Indians. April 5, 2015 Jaff Decker roster status changed by Pittsburgh Pirates. October 2, 2014 Pittsburgh Pirates activated LF Jaff Decker. September 29, 2014 Pittsburgh Pirates recalled Jaff Decker from Indianapolis Indians. July 14, 2014 Pittsburgh Pirates optioned LF Jaff Decker to Indianapolis Indians. July 10, 2014 Pittsburgh Pirates recalled Jaff Decker from Indianapolis Indians. May 15, 2014 Pittsburgh Pirates optioned LF Jaff Decker to Indianapolis Indians. May 11, 2014 Pittsburgh Pirates recalled Jaff Decker from Indianapolis Indians. March 25, 2014 Pittsburgh Pirates optioned LF Jaff Decker to Indianapolis Indians. November 20, 2013 San Diego Padres designated Jaff Decker for assignment. September 30, 2013 San Diego Padres recalled LF Jaff Decker from Tucson Padres. August 26, 2013 San Diego Padres optioned Jaff Decker to Tucson Padres. August 10, 2013 San Diego Padres recalled Jaff Decker from Tucson Padres. June 22, 2013 San Diego Padres optioned Jaff Decker to Tucson Padres. June 19, 2013 San Diego Padres recalled Jaff Decker from Tucson Padres. June 14, 2013 San Diego Padres optioned Jaff Decker to Tucson Padres. June 12, 2013 San Diego Padres recalled Jaff Decker from Tucson Padres. March 15, 2013 San Diego Padres optioned Jaff Decker to Tucson Padres. March 15, 2013 Jaff Decker roster status changed by Tucson Padres. November 20, 2012 San Diego Padres selected the contract of Jaff Decker from San Antonio Missions. September 25, 2012 Jaff Decker roster status changed by San Antonio Missions. July 11, 2012 sent OF Jaff Decker on a rehab assignment to AZL Padres. June 1, 2012 San Antonio Missions placed LF Jaff Decker on the 7-day disabled list. December 21, 2011 San Diego Padres invited non-roster LF Jaff Decker to spring training. October 2, 2011 LF Jaff Decker assigned to Peoria Javelinas. April 5, 2011 LF Jaff Decker assigned to San Antonio Missions from Lake Elsinore Storm. March 21, 2011 OF Jaff Decker assigned to San Diego Padres. September 21, 2010 Jaff Decker roster status changed by Lake Elsinore Storm. July 4, 2009 Fort Wayne TinCaps activated LF Jaff Decker from the 7-day disabled list. April 23, 2009 LF Jaff Decker assigned to Fort Wayne TinCaps from Eugene Emeralds.